Looking for UL-Listed Terminal Blocks? Get a quote fast. 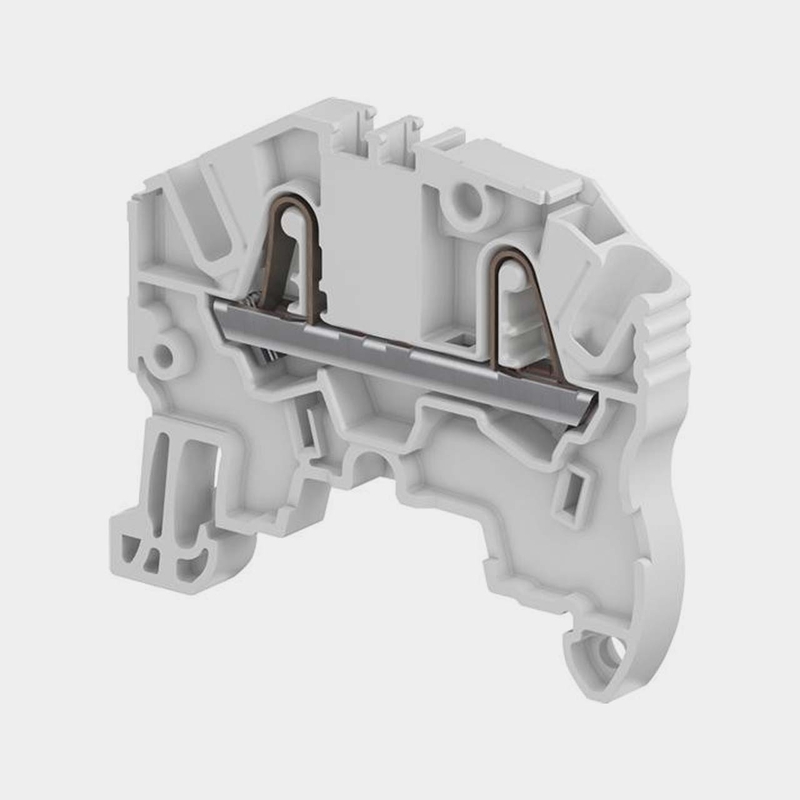 UL listed terminal blocks, or UL recognized terminal blocks, indicate that they have undergone rigorous testing to meet their set of safety standards based on the UL’s research. UL stands for Underwriters Laboratories and as one of the most well-regarded independent testing laboratories, there are a huge number of electrical devices that can be UL listed. UL safety certification is recognized worldwide. UL listed terminal blocks consolidate your control panel wiring while helping you control complex circuits, all with the highest standards of safety. Since terminal blocks are installed inside a control panel, technically it is not a UL listed component but UL recognized component. UL recognized components and terminal blocks are products that will eventually become a part of a larger system which itself will be UL listed. So while technically a UL listed terminal block is UL recognized, the control panel it is installed in at Bay Power’s UL508a certified shop will be UL listed. Further, different UL listed terminal blocks are covered by different UL safety requirements depending on voltage ratings as well as their intended application. Keep your control panel safe with Bay Power. When it comes to your control panel and your terminal blocks, there’s no skimping on safety. When you choose a UL listed terminal block from Bay Power, you’ll get the safety that comes with a UL listed product plus the service, the selection, and the quick shipping that comes with shopping with us. Choose from a number of top of the line products from industry-leading manufacturers including Wago terminal blocks, Marathon terminal blocks, Entrelec terminal blocks by ABB, Wieland terminal blocks, Buchanan terminal blocks, and many more all with our one-year replacement warranty. The choice is yours at Bay Power. Have any old or unused UL-Listed Terminal Blocks lying around? Don’t get rid of them just yet. While we stock a wide range of quality electrical products and solutions, both new and reconditioned, we also buy back your unwanted equipment. So, before deciding what to do with your old UL-Listed Terminal Blocks and components, have one of our expert technicians take a look to see if we can save a few parts, save the environment, and save you some cash. Great service shouldn’t end after the purchase. We pride ourselves on the relationships we build with our customer-first mentality and the quality of our UL-Listed Terminal Blocks and components. That’s why we offer a 1-year replacement warranty on all of our electrical products and solutions from the top manufacturers. Because when you buy with Bay Power, you buy with confidence. We are proud to stock a variety of competitively priced, new and reconditioned components from the leading manufacturers of UL-Listed Terminal Blocks. Thanks to our extensive inventory of UL-Listed Terminal Blocks and components, our resourceful and expertly trained staff will always be able to get the products that you need. Through our extensive network of suppliers, we are able to carry and acquire a huge variety of electrical products and solutions, so chances are if you need it, we can get it. Bay Power’s priority is providing you with reliable, high quality electrical hardware. That’s why our mission is to make sure our reconditioned electrical products and solutions function as perfectly as the day they were built. Because while the quality is high, the cost of UL-Listed Terminal Blocks shouldn’t be. Our selection of new surplus UL-Listed Terminal Blocks may not arrive brand new in a box, but they function just as well, and have never had electricity run through them. All of the quality, none of the packaging, always with our 1-year replacement warranty.